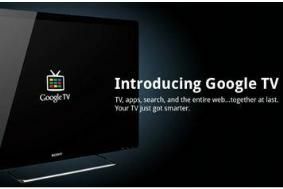 Google TV not to star at CES? | What Hi-Fi? Google TV not to star at CES? However, a report in yesterday's New York Times suggests Google is urging manufacturers to tone down any launch plans, amid poor reviews of those early implementations. Companies including Samsung, Toshiba, LG and Sharp were expected to launch Google TV-enabled flatscreens and peripherals (including Blu-ray players), but at this point only Samsung appears to be persisting with its plans. However, this wouldn't be the first Google product - think of the Android mobile operating system - that has suffered from early-release issues and then gone on to longer-term success. We'll be reporting live from CES next month, and will bring you all the news - or not - on new Google TV products, including plans for UK releases.